If you come to the VAFHO Family History Expo in Sale, you will also have the chance to do some sight-seeing. it is the only one left in the world that can swing around 360° and featured in the Australian film noir movie “The Tender Hook”. 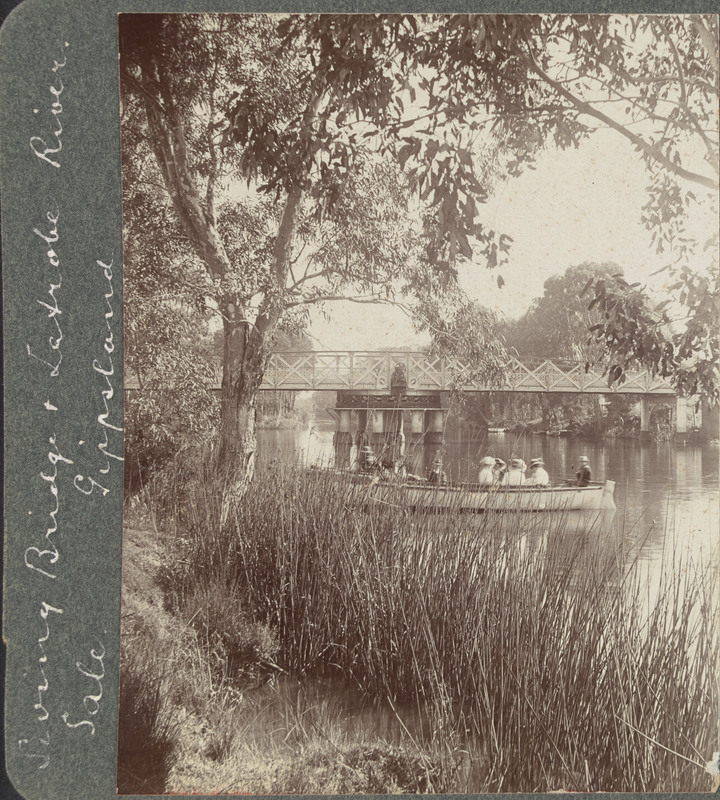 Designed by John Grainger and built in 1883 by the Victorian government, it was the first movable bridge built in Victoria. Its wrought-iron structure, 45 metres long, pivots on cylindrical steel columns. At its peak, the bridge was opened up to 20 times a day, allowing the movement of steamers between Sale and Melbourne. The bridge is on the South Gippsland Highway at Longford, 5 km south of Sale. It spans the Latrobe River at its junction with the Thomson River.